How do the world’s major religions view tattoos? Not surprisingly the answers for each religion vary and are anything but simple. There are nuances and exceptions to every rule and like everything else that involves religion much is subject to interpretation. The following represents research on Christianity, Judaism, Islam, Hinduism and Buddhism and their take on tattoos. This bible quote is popular in chat rooms and blogs about tattoos. Someone always brings it up when discussing Christianity and tattoos. Leviticus 19:28, “Do not cut your bodies for the dead, and do not mark your skin with tattoos. I am the Lord.” Based on this quote it would seem pretty obvious that tattoos are not acceptable in the Christian faith. However this quote is taken out of context and the overall passage is really a warning about not practicing Pagan rituals or witchcraft. There are also passages from Leviticus forbidding the trimming of beards. Leviticus 19:27, “You shall not round off the hair on your temples or mar the edges of your beard.” A literal interpretation of the bible would mean not trimming your beard and eating kosher meat only because rare or bloody meat is also forbidden in the Bible. There are quite a few devout Christians that trim their beards and eat rare cooked steak. Are they disobeying the doctrines of the Christian faith? Does trimming your beard mean you are a not a good Christian? The simple answer is no. Tattoos would fall into the same category. Only Christians that interpret the bible literally would take issue with them. In today’s world tattoos are no more of a problem for Christians than eating a hamburger cooked rare at Five Guys would be. Once again Leviticus 19:28 is the primary source of debate here. Many Rabbis interpret the statement “do not mark your skin with tattoos. I am the Lord” as relating to the worship of false idols. In their view the doctrine has to do with not marking your skin with the names of false idols or other gods. There is also the misconception that Jews that have tattoos may not be buried in a Jewish cemetery. Even if a tattoo is interpreted as a violation of Jewish law it does not prohibit a person from being buried in a Jewish cemetery. Many Rabbis agree that sinners are not to be excluded from burial in a Jewish cemetery. So does a tattoo of Jimmy Hendrix or Lady Gaga qualify as idolatry? Much like Christianity there are quite a few grey areas here and there is no clear or obvious prohibition of tattoos in the Jewish faith unless they depict the name of a false god or idol. Islam was started in the seventh century and is a much younger faith than either Christianity or Judaism. This is important to understand when discussing tattoos and Islam. Although you may find some differing opinions the majority of Islamic scholars believe that permanent tattoos are banned in the Muslim faith. This stems from the fact that according to Islam your body is a creation of Allah or god. A permanent tattoo is seen and desecrating god’s work. 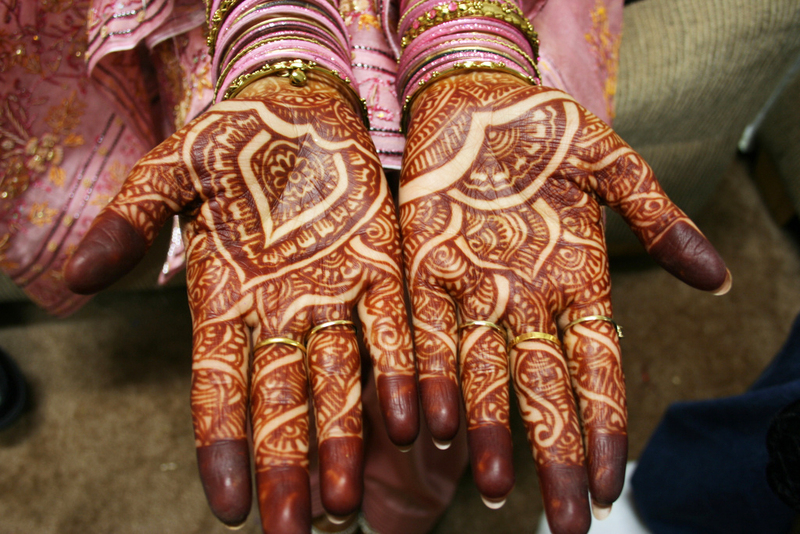 This is why Henna tattoos are a popular alternative in the Muslim community. The Henna used for tattoos is temporary and can eventually be washed away (this is not to be confused with the organic henna for hair powder that is used to dye hair). This brings up questions about other forms of body modification such as ear piercings, tanning, makeup and jewelry. According to Islamic scholars these are acceptable because they are temporary but we are all well aware that ear piercings eventually become permanent. So just like the other major faiths the question is where does Islam draw the line? Islamic scholars are pretty clear about permanent tattoos but it is still interesting that ear piercings are accepted. Does this mean that ceramic ear plugs are also acceptable? Not only are tattoos not restricted for Hindus but Hinduism is the source for countless tattoo designs including the very popular and sacred “Om” symbol. In the past Hindu women had the name of their husband tattooed on their forearm. It was believed that they should never speak the name of their husband so the tattoo allowed them to communicate it more easily. The only restriction might be a tattoo that disrespected the Hindu gods in some way. For this reason Hindus don’t often get images of their gods tattooed on their legs, feet or posterior. Placement is important and you won’t often see the god Shiva anywhere below the waist on a Hindu. They are also more apt to get the name of one of their Hindu gods as a tattoo versus an image of the god itself. Hindus are very liberal when it comes to tattoos as compared to the other Abrahamic religions such as Judaism, Islam and Christianity. No matter what your beliefs are they belong to you and you alone. What is obvious about all the major religions and their take on tattoos is that everything depends on how you interpret or practice your religion. Some religions like Islam ban tattoos quite clearly but others like Hinduism don’t discourage them. In the end it’s all up to you and what you choose to do with your body. About the Author of “World Religions and Tattoos: Do They Get Along?”: Trip Albagdadi has written numerous press releases and featured articles for various online and print media outlets. He is a regular contributor to the Tat2X Tattoo Culture and Style Blog. We’d love to hear about your views on religion and tattoos! You should probably note that a tattoo of Buddha is considered very offensive. Buddhist tattoos are fine, but a picture of Buddha, especially below the waist, is not. Foreigners in a Buddhist country with a tattoo of Buddha have been kicked out of the country because of their tattoo. Wow, I had no idea. I know tons of people with a tattoo of the Buddha.